If it makes noise, you just know children are going to love it. And it’s a bonus if said toy is also beautiful. As parents we soon learn that children abhor silence. Or maybe that’s just my boys? Either way, these gorgeous little creations are bound to be a favourite with babies and children alike. 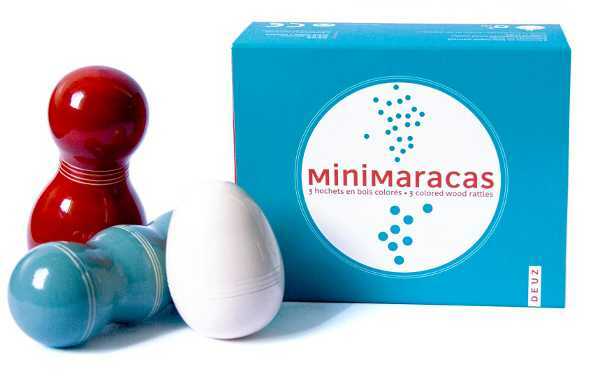 They’re called Minimaracas, from French company Deuz. They come in a set of three wooden rattles, carved from wood harvested from replanted trees grown without chemicals and are hand lacquered with natural vegetable dyes. 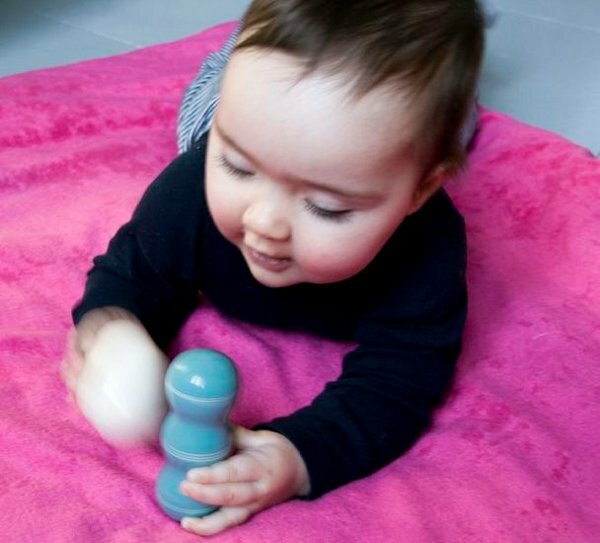 Made to Fair Trade standards in India, they are suitable from birth, and are available locally from Sustainababy for $42.90.